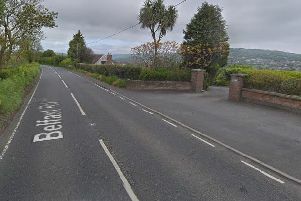 The funeral was held on Tuesday afternoon of Greenisland pensioner, Eddie Girvan, who was found dead earlier this month at his home. Crowds gathered to pay their respects during the service at Mulholland’s Funeral Home in Carrickfergus. Reading the eulogy to Mr Girvan (67) was his long-time friend, John Milligan. “I’d known Eddie for about 30 years; he was a friendly guy, very easy to talk to,” Mr Milligan said. A retired plumber, Mr Girvan developed a lasting interest in mechanics and engines during his youth. Mr Girvan was interred at Victoria Cemetery in Carrickfergus. He is survived by his two daughters, Martina and Mandy.